1. 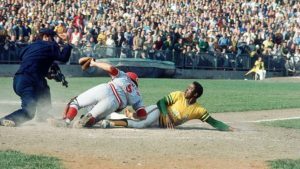 Reinstate Pete Rose – I’ll get the serious one out of the way up front. First a few concessions on my part: Did Pete Rose have a gambling problem? Yep. Did he bet on baseball? Yep. Is he a bit of a jerk at times? Umm…yes. 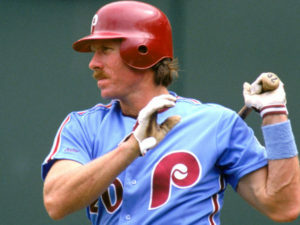 Is he still most likely the greatest hitter who ever lived? I say yes. I also think he gets the cold shoulder from those in MLB because they simply do not like him. Pete has few advocates in the game because he rubbed too many people the wrong way with his sandpaper, Charlie Hustle style. They didn’t like him then. They don’t like him now. What’s that? His betting on baseball and possibly the Reds forever tarnished the precious lily-white image of baseball and for that he should remain permanently banished? Give me a break. 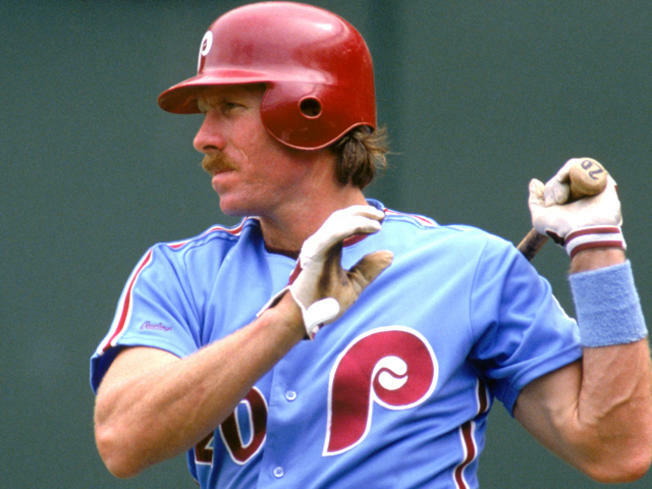 Read up a little on some of the upstanding citizens currently in or going into the revered hall in Cooperstown. For the sake of brevity, I’ll simply focus on one of the more recent selections. 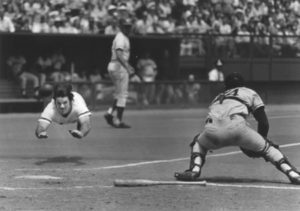 You can say a lot about Pete Rose, but one thing you couldn’t say was that he was anything less than full throttle on the baseball diamond. Allan Huber “Bud” Selig was selected for the 2017 class by the “Today’s Game Era” committee. So what has he done to leave his mark on baseball? He did work to give us the Wild Card Playoff era. He oversaw a massive increase in revenue. Oh and he made the All Star game “count” again. What else you say? Well, he was part of the owner’s collusion in 1985 through 1987 where owner’s entered into a “gentlemen’s agreement” to freeze out all free agent players. 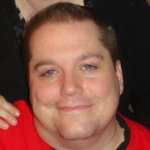 Teams would not sign a free agent unless they were fully released by their original team. The original teams refused to release them meaning they would not be signed period. The ensuing legal action by the players association eventually resulted in owners paying $280 million dollars in damages to said players. Selig became “acting commissioner” in 1992 and in 1994 oversaw negotiations so contentious they eventually lead to the first cancellation of the World Series since 1904. (Way to go Bud! Here’s your plaque!) The cancellation brought an abrupt end to some of the most exciting pennant races in years. 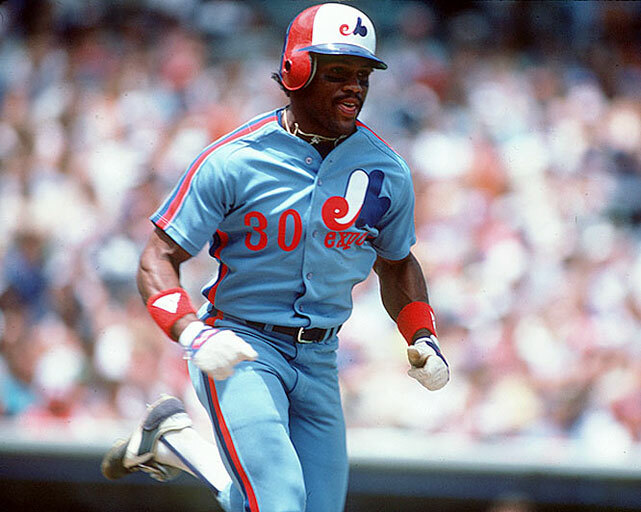 It also could be argued that it robbed a dazzling young Montreal Expos team of postseason glory eventually leading to the end of baseball in that city. (Again, way to look at the big picture Bud!) Sensing that he’d not done enough to pull baseball over the brink, Selig politely looked the other way as every Mark, Pudge and A-Rod in the game enhanced their performance and made a mockery of the record books. As previously stated, revenues did rise during this time, but at what cost to the integrity of the game? Selig did finally make the token effort to rid the sport of steroids in 2005 when he pushed for increased testing and stricter penalties for positive results. This was only after he was called before Congress on the matter and several years after the damage was already done. This is just one example of a Hall of Famer with a less than stellar “all around” record. There are many others. Hall of Famer Tris Speaker was a Klan member. Hank Aaron admitted to using amphetamines, or “greenies.” Players testified under oath that Willie Stargell used amphetamines and also distributed them to teammates. Gaylord Perry said he always had some “grease” on him somewhere when he went to the mound so that he could alter the ball for a little extra movement. He admitted this decades after the spitball or greaseball was made illegal in baseball. This admission also came BEFORE he was elected to the Hall of Fame. Basically, no one’s record is spotless, not ball players and especially not great ball players. My point is not to vindicate Rose by denigrating Selig. My point is to say that even people who make good contributions to baseball, have often also made bad contributions to the game. Pete Rose should be in the hall of fame because he was an integral part of multiple championship teams in two cities. 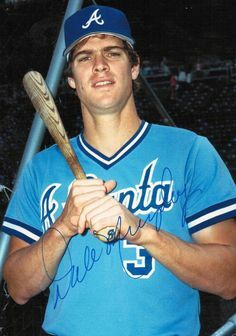 He should be in because he collected 4,256 hits, more than anyone else in the history of the game, while playing his guts out over the better part of three decades. He should be in for what he did on the field, not kept out because of his faults off of it. Ask yourself this: which left a larger “stain on baseball” Rose’s betting or the steroids Selig allowed to permeate the game? 1972 World Series. Actual photographic proof that World Series baseball can, indeed, be played in sunlight. year old boy with a significant experience or lasting memory that revolves around your game, would that ten year old not grow up and, more often than not, stay loyal to said game. If we don’t bring baseball back to front and center in the lives of our youth they will not consistently follow baseball as adults. I love baseball. I love baseball for many reasons, but one reason I love baseball is that in the many summers of my youth I could watch day games on TV with my grandma. My grandma didn’t really know Johnny Bench from Johnny Cash, but my memories of those games will forever tie me to her and to baseball. If we don’t give kids a chance to watch some baseball on their own schedules, we are ensuring that most of the “future fans” will grow up with no link to the national pastime. The last day game played in the World Series was Game 6 of the 1987 matchup between the Twins and Cardinals. In an act of superior planning and foresight all to common with Major League Baseball, this “day game” was played indoors at the Metrodome. The last REAL day game was in the 1984 World Series in Detroit. It is ridiculous that not one game has been scheduled for a daytime start since that time. The Series has become a slave to the prime time television spot so that Capital One or Chevrolet can bombard us with more advertising or so Fox can beat us over the head with whatever new show now graces their fall lineup. Advertising dollars have become the “be all, end all” while generation after generation of young fan grows up never seeing the beauty of meaningful, World Series baseball played in the beauty of sunlight. Major League Baseball then has the audacity to wonder why they cannot reach the young fans of today. The one, the only, Michael Jack Schmidt. 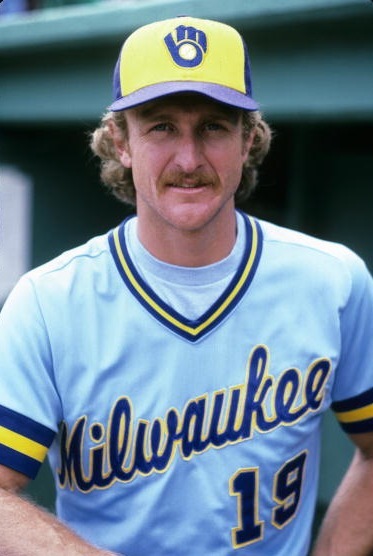 Rockin’ Robin Yount showing off the blue uniform, his blond curls and one of the best logos in baseball. One of the most disturbing trends in all of sports uniforms is the increased use of black as an “alternate” color or uniform. If you’re the Oakland Raiders, San Antonio Spurs, Pittsburgh Steelers or Chicago White Sox then I’m all for you wearing your black loud and proud. 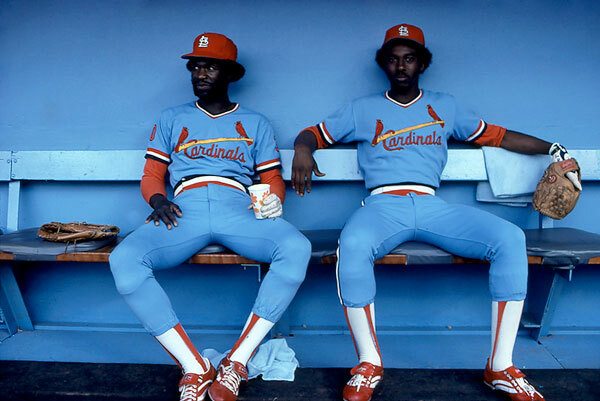 (Although the White Sox had an epic red and powder blue uni combo in the seventies!!) 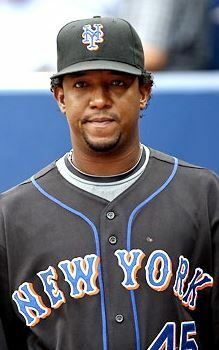 However, if you’re just adding your logo to a black jersey top to sell more alternates (I’m looking at you Mets of the 2000s) then I’m not buying. When I’m commish, any team that sported a powder blue road uniform at any point in their recent history will go back to that uniform. That means you Royals, Braves, Mariners, Cardinals, Brewers, Phillies, Twins, Rangers, Blue Jays and (once they’re reinstated) Expos. 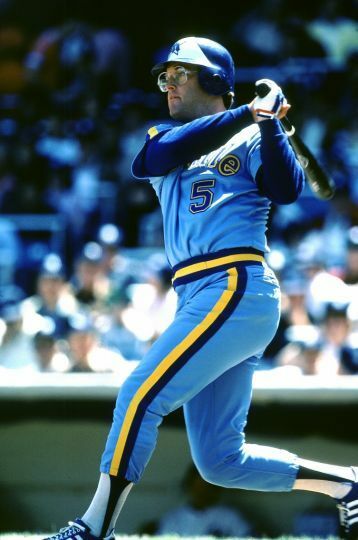 My personal preference would be for every team to return to their full uniform combo circa 1982, but we’ll start with the blue road uniforms and go from there. 4. Houston Astros back to the NL and Brewers back to the AL – Why you ask? Because that’s where they belong. In fact I’m not sure why this hasn’t already happened. The only reason I can think of is that the MLB has some goofy idea that having the Astros and Rangers in the same division will spark some sort of Texas rivalry. The same goes for having the Brewers and Cubs in the same division. I think interleague play has rendered this a silly argument as there are plenty of chances to match these teams up over the years if that is the ultimate goal. Besides that, true rivalry is much more likely if both teams are competitive, a state the Astros have only recently rediscovered and the Brewers seem to be unable to find. But wait, you can make this switch straight up because the Brewers will be forced into the AL West. That’s actually an easy fix. Once the Brew Crew returns to the AL, they can be moved into the Central and the Kansas City Royals can be moved to the West. The rivals for all three teams would be much more natural in their “new” divisions. The Astros would be back in a division with their old NL West foes the Cincinnati Reds and back in the National League with the Dodgers, Padres and Giants. The Brewers would be back to battling the Tigers, Twins and that “other Chicago team,” the White Sox. The Royals would be back at it with old AL West foes in the Mariners, Athletics and Angels. It just makes too much sense not to do this. Unfortunately, it makes so much sense that baseball will probably never actually undertake the move. If stirrups are good enough for Keith Hernandez, they’re good enough for me. 5. If you play baseball, you must wear stirrups! – Let me follow that up by saying, if you want to wear your baseball pants like sweat pants, a la Manny Ramirez, there’s no place for you in my league! When I was a Little League baseballer I had to wear a pair of bright yellow stirrups under my pants and above my socks. 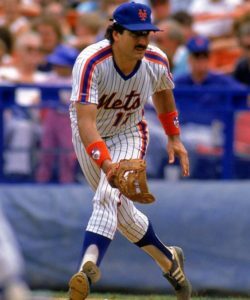 There was a right and a wrong way to put them on and no real way to make them look “cool.” But they were part of my uniform and if I was putting them on that meant I was getting ready to play some baseball. Stirrups are just part of the game. I’m glad to see them being embraced by many college teams in recent years. I just wish they would be made mandatory in MLB. Listen, I’m all for asking why. Why do we have to do it this way? Why do we accept things as they are? Why must we conform to certain rules? 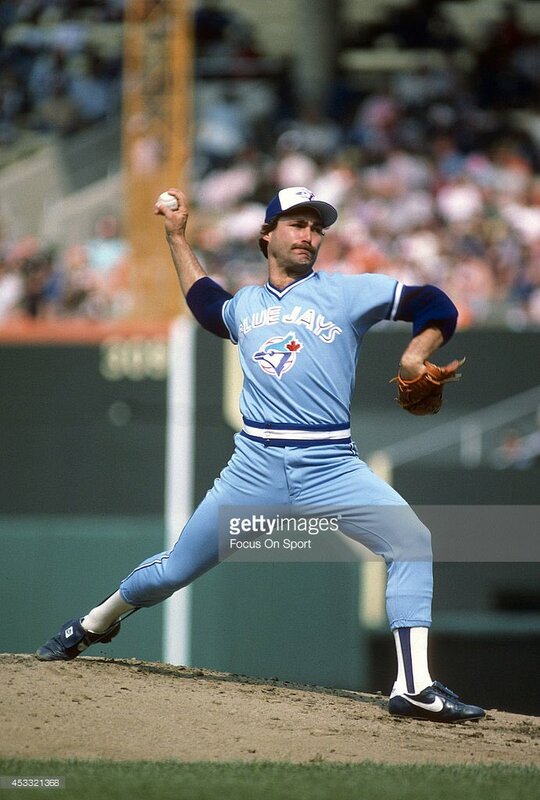 However, there are certain things that should always be part of the game and, for me, stirrups are one of those. 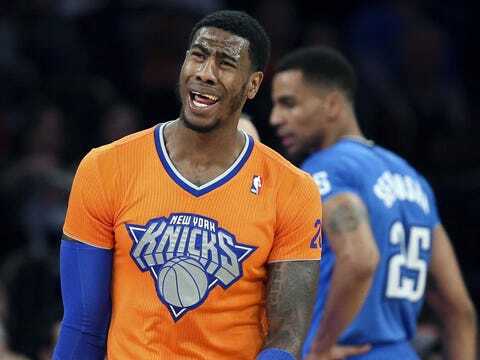 I feel the same way about long baseball pants as I do about those wretched T-shirt jerseys the NBA is now foisting on its fans. I mean, since we’re asking why: Why don’t we just show up in clown pants and a red nose for Pete’s sake? Or just play shirts and skins? Or market an entire weekly football broadcast on national television featuring teams wearing colorful but unappealing distortions of their original uniforms? Oh wait… Fads will come and go. Stirrups are not cool, they’re not retro, they’re not throwback. They’re simply baseball. So that’s it from the commish’s office for now. Feel free to chime in with your own official acts in regards to improving Major League Baseball, goofy ideas about the game or fixing your pet peeves. I still have some other winning ideas that didn’t make the list: the first game of opening day should always be played in Cincinnati, we need to bring back bullpen carts and can we talk about redecorating awful, awful Marlins Park in Miami. Until next time. This entry was posted in 5 Off The Top and tagged baseball, mlb. Bookmark the permalink.